Copyright KC Fonts all rights reserved. For personal use only! Please contact kcfonts@gmail.com to purchase a commercial use license. Please contact kcfonts@gmail.com to purchase a commercial use license. 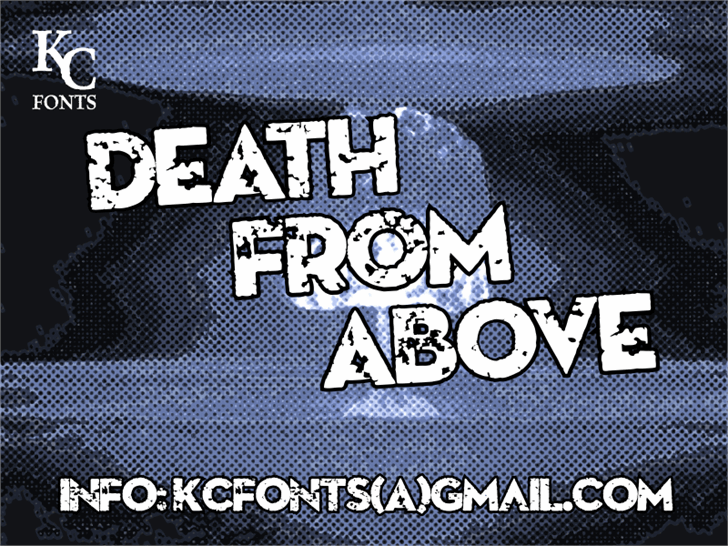 Death From Above is a trademark of Kevin Christopher.